We help instructors foster students collaboration outside the classroom. 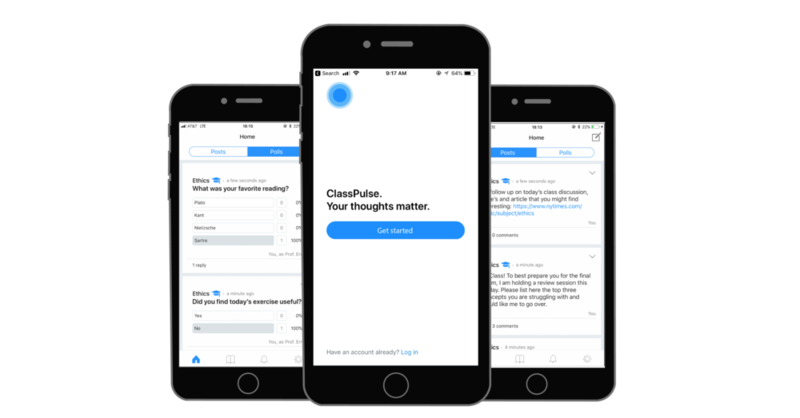 ClassPulse is a safe space where your students can communicate, ask questions and share anonymous formative feedback with you. Featured in both the Chronicle of Higher Education and Inside Higher Ed, ClassPulse empowers professors to engage students outside of the classroom.